You must have heard about the famous ‘black pork’ of Jeju island. 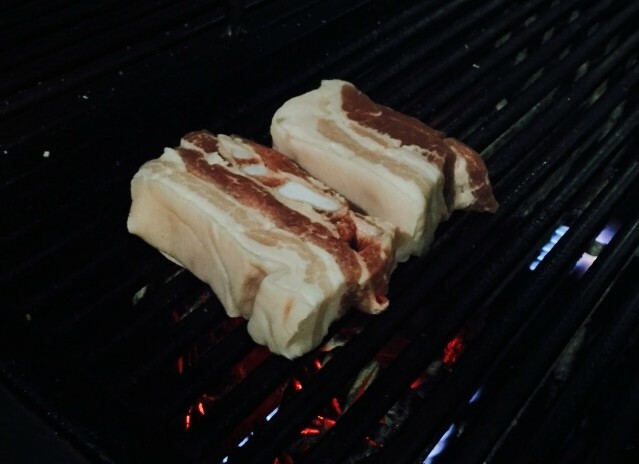 Jeju pork is said to be the best quality and most delicious meat produced in Korea thanks to its unique breed of black pig found only in Jeju island, which also provides an unpolluted natural environment. 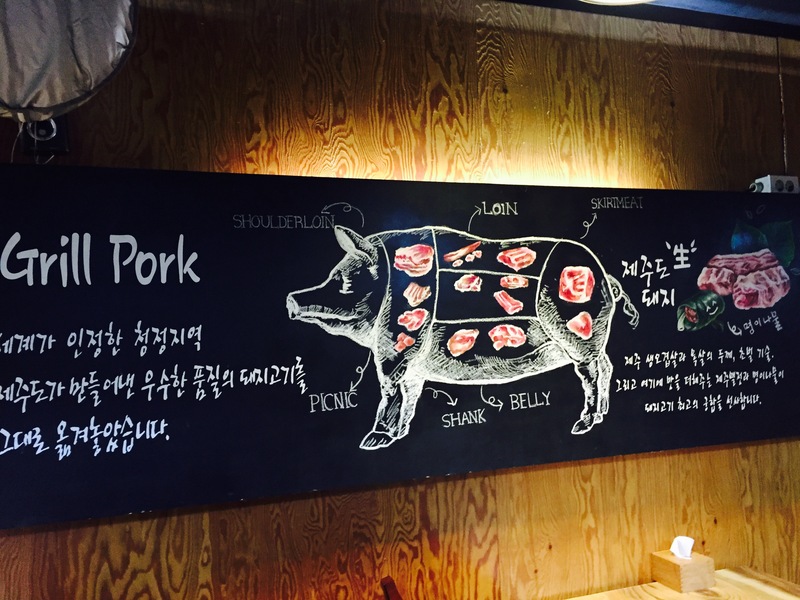 Since its limited amount of production and geographical restriction, Jeju pork is not commonly found in other parts of Korea instead of Jeju island, and always sells much more expensive than other ‘ordinary’ pork. 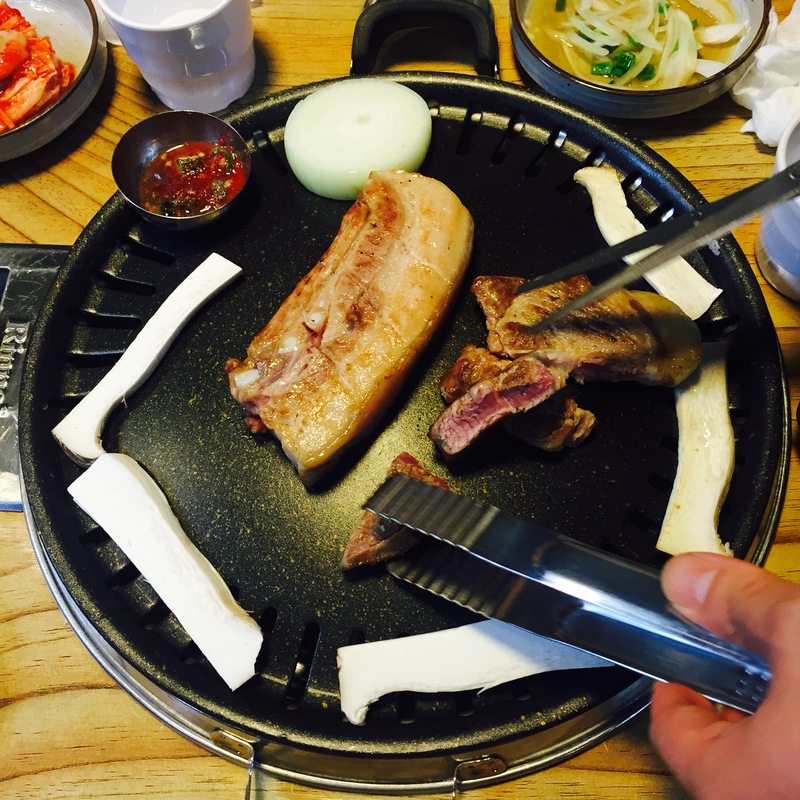 BUT no need to worry if you couldn’t visit Jeju, cause BnBHero has found this great Jeju pork grill in Seoul – Jangsuga(장수가)! 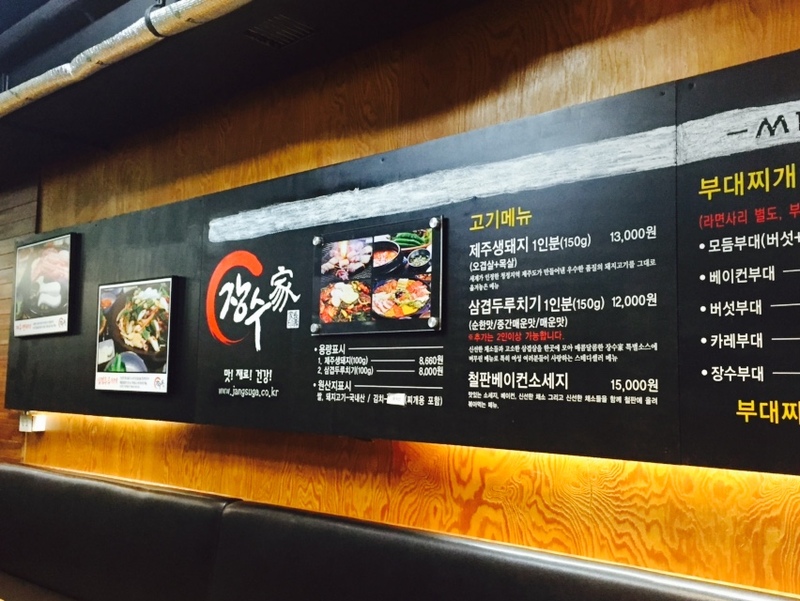 Jangsuga has various locations in Seoul, and we visited one of them around Chungmuro, quite close to Myeongdong. 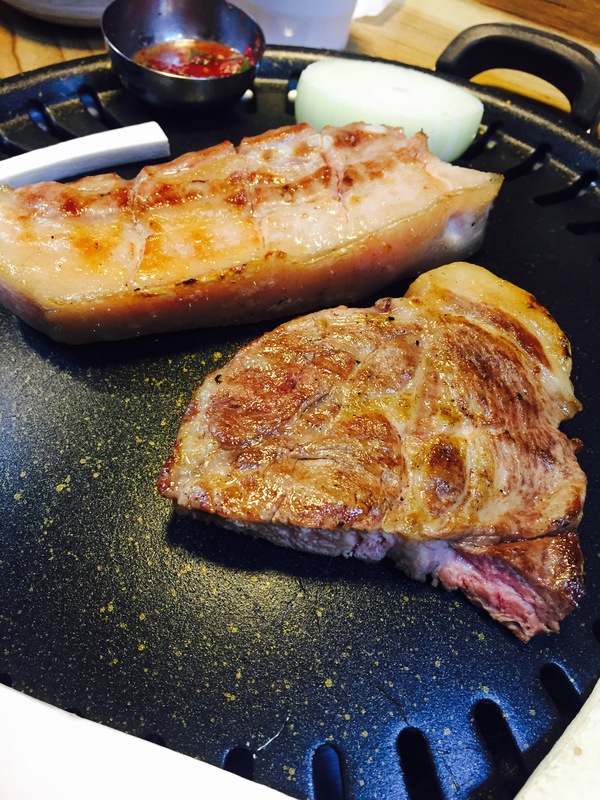 Jangsuga’s fresh Jeju pork comes in large and very thick pieces of streaky and jowl, best parts for meat grill. The meat is in cold storage but not frozen so it won’t ruin the best taste, and it is always important for them to provide the freshest meat everyday. 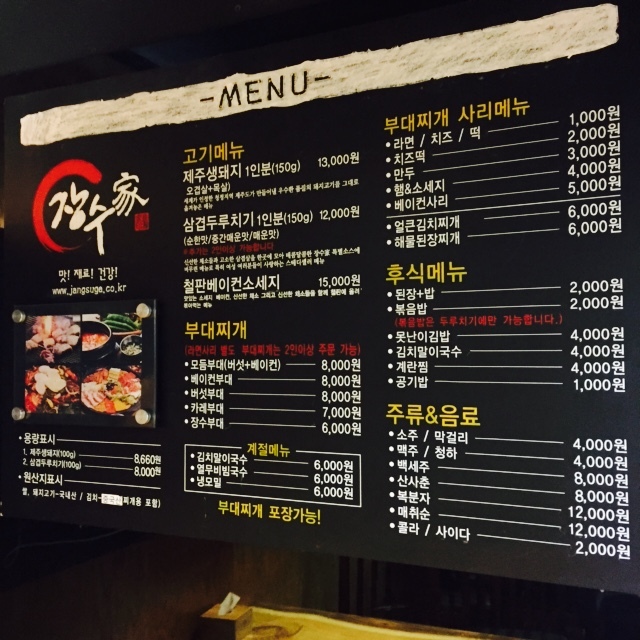 They do have a variety of menus including Korean army stew Budae Jjigae(부대찌개), and the price is quite reasonable for Jeju fresh pork (streaky & jowl) only cost you 13,000 won each share. 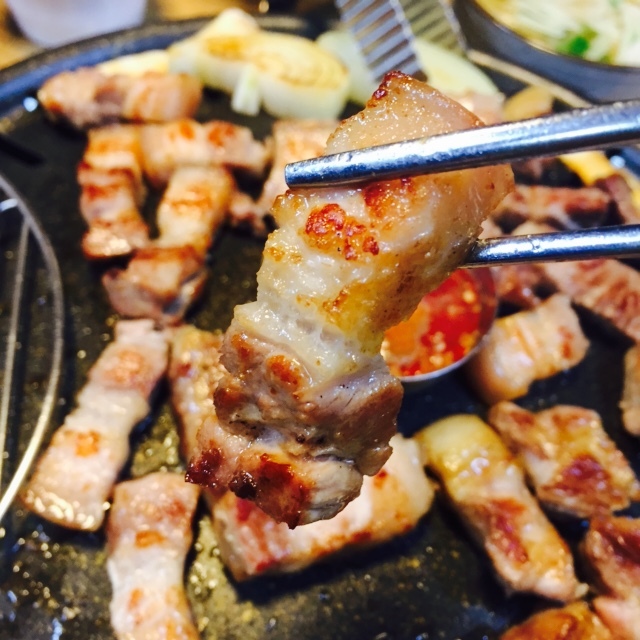 The pork would be carefully pre-cooked by the owner before serve because it’s just Too Thick and might easily get burnt if someone’s not very skillful at grilling meat. The half cooked meat shows a really delicious toasted surface with pinky color in the middle, and you will feel it much easier to slightly turn the cut pieces a little bit before they are all well done. The meat is soooo thick! 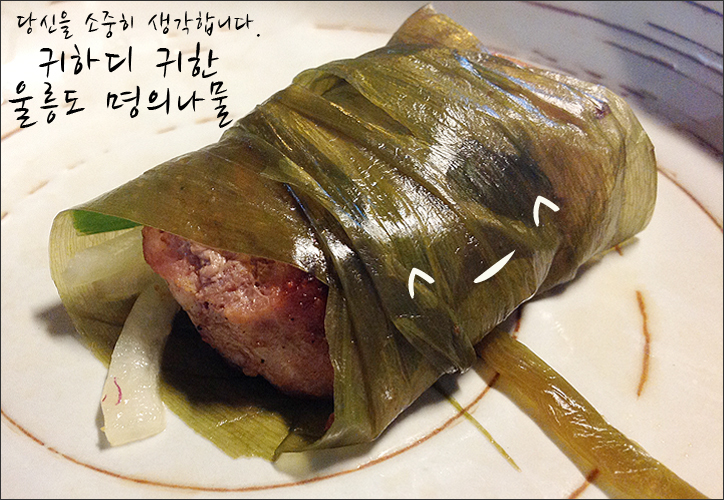 What makes the pork more special is Jangsuga’s salty anchovy sauce ‘Myeolchi Eakjeott'(멸치 액젓). 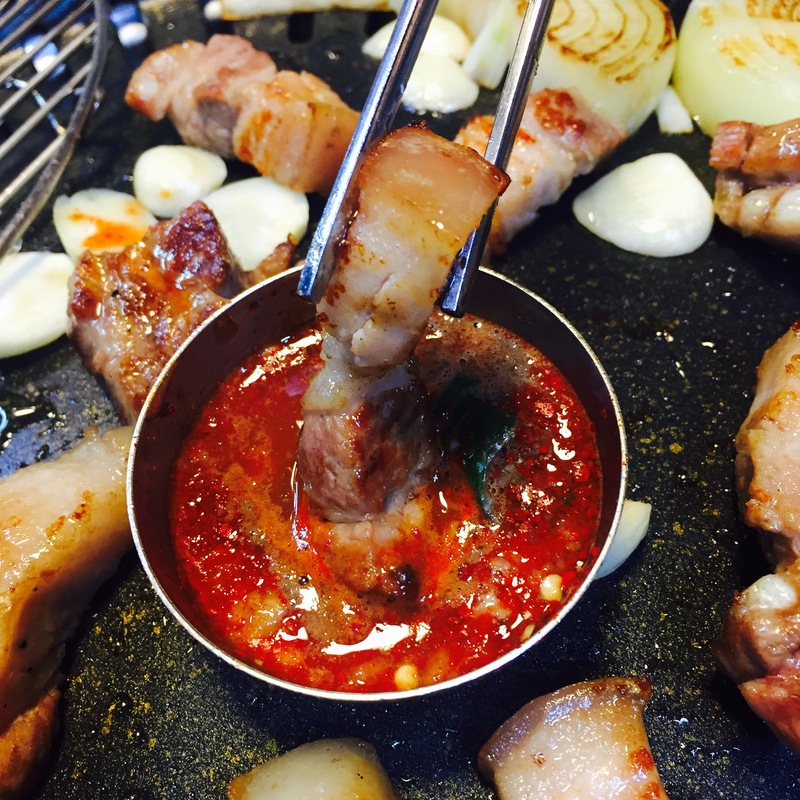 Most Korean meat grills come with spicy garlic sauce or sesame oil, and this is the very first time, at least for me, to see this unique combination of pork and anchovy! 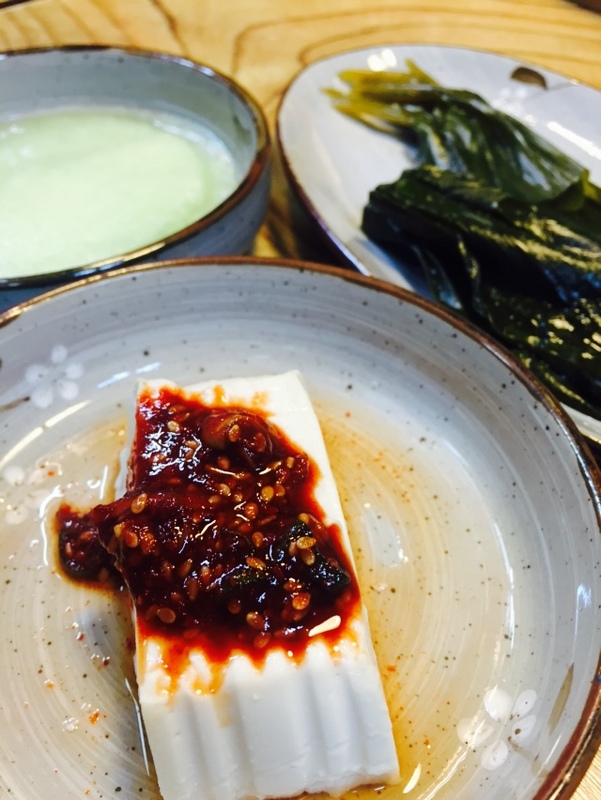 Just be careful and don’t dip too much since the anchovy sauce is quite salty, then you are ready to enjoy they juicy grilled pork with a delicious fish taste. 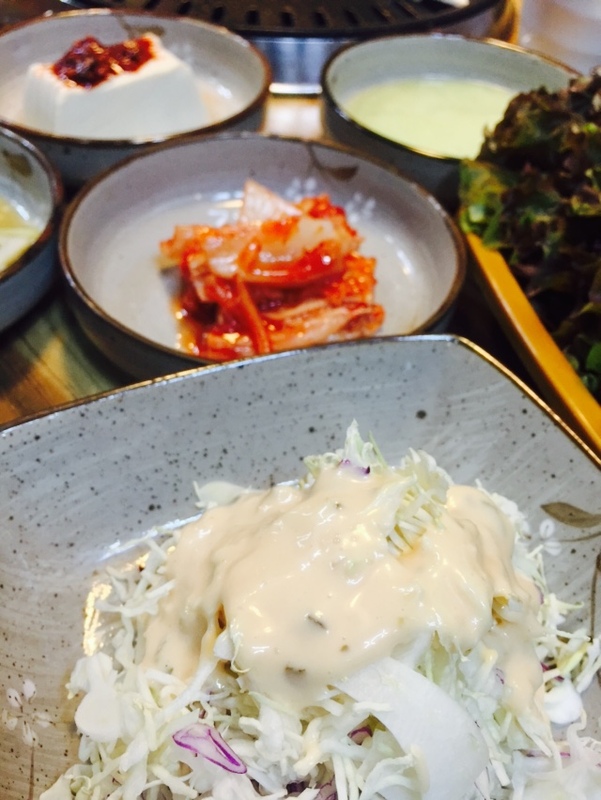 Another rare ingredient of Jangsuga is their ‘mysterious herb’. It’s a special kind of herb grown only in Ulleung-do island, the second large tourist island of Korea. Being called ‘명이나물’, which means ‘prestigious doctor herb’ in Korean, this herb is believed to be very good to people’s health. Famous and quality fresh pork, special sauce, reasonable price, and healty!! I just can not think of a reason not to come back again lol! 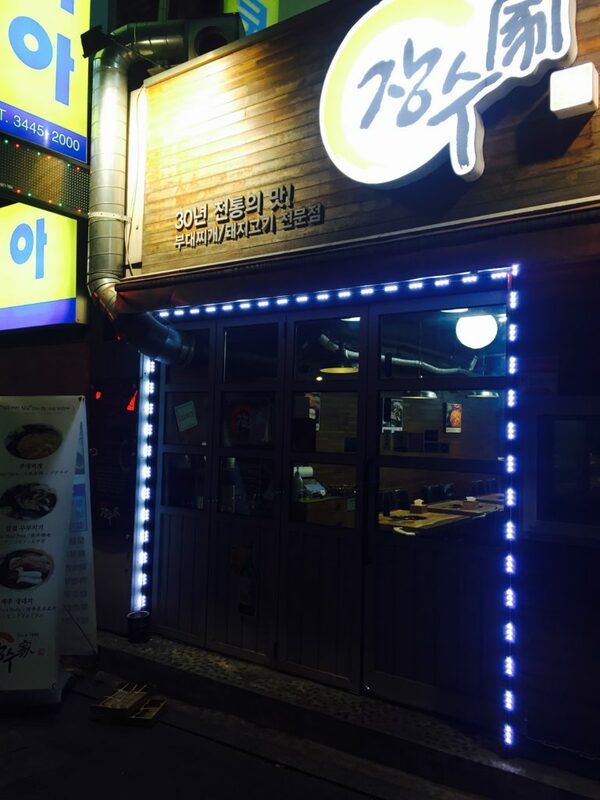 This entry was posted in FOOD and tagged food in Korea, food in seoul, jeju blackpork grill, Korean BBQ, pork grill, Seoul.